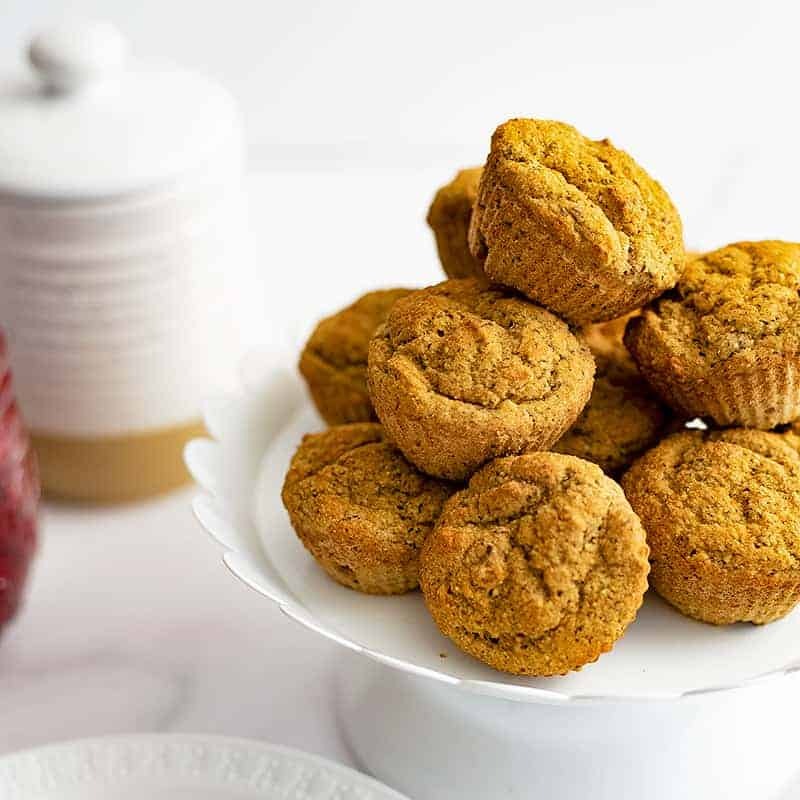 These simple gluten free almond flour muffins are light and airy and the perfect compliment to a bowl of soup or your favorite breakfast spread! These muffins are vegan, grain free, gluten free, paleo and can be made with one bowl and a fork, no fancy equipment needed! 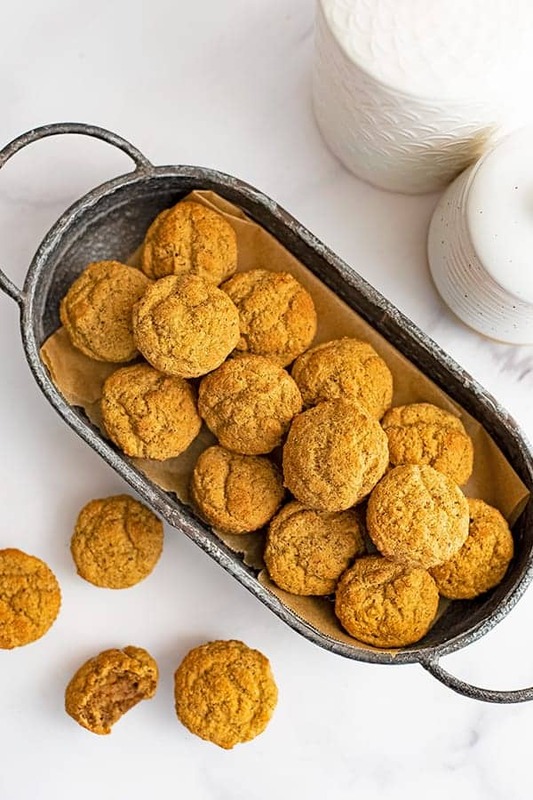 These gluten free almond flour muffins are like a cross between paleo cornbread muffins and a whole grain biscuit, except they are grain free and easy to digest! 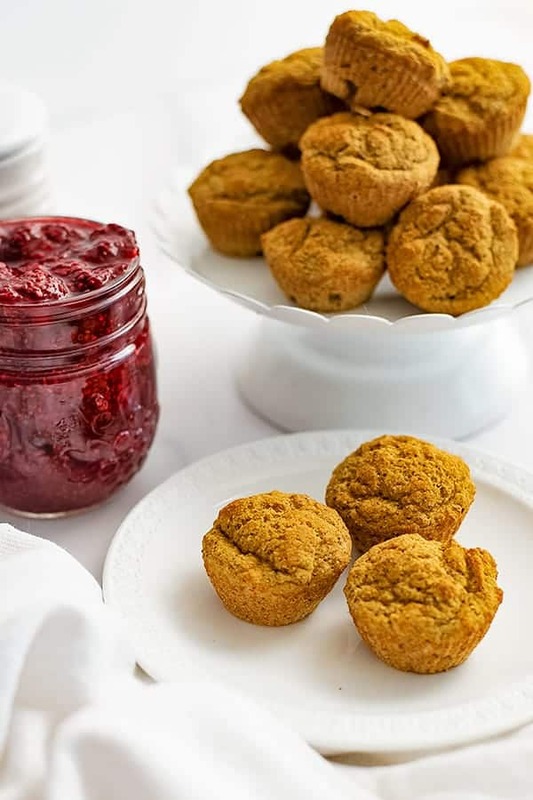 Similar to cornbread, these gluten free almond flour muffins pair well with both sweet and savory dishes! I started making these muffins for Dave when he found out that eggs bothered his stomach and the gluten free english muffins he had been enjoying for months were actually making his stomach hurt. He loves having something to dip into chili or have on the side of soup, so I was determined to make him an egg free, gluten free muffin so he wouldn’t feel like he was missing out. Baking with almond flour can often create a dense muffin, so it’s important to combine almond flour with another flour to help improve the texture. 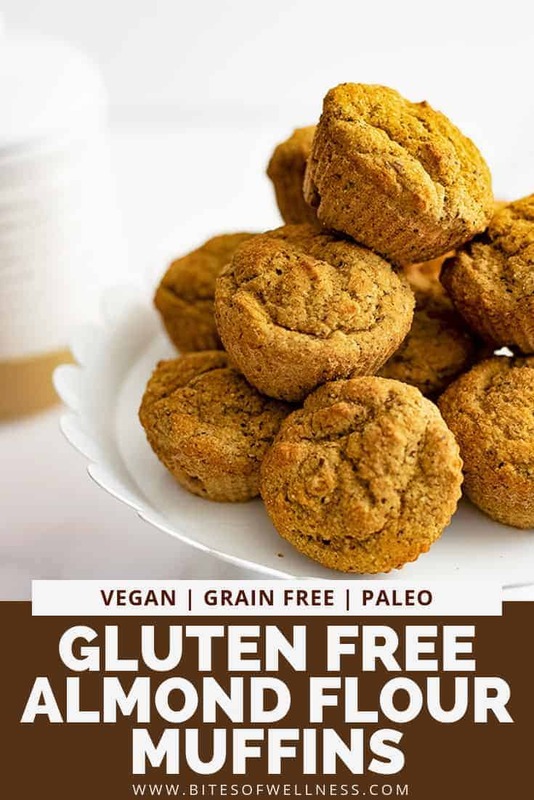 I used tigernut flour (affiliate) to keep these almond flour muffins grain free, but you could also use your favorite gluten free flour if being grain free is not important to you. I prefer to bake with blanched almond flour. This flour is made by finely grinding down almonds after removing the skins. Removing the skins from the almonds makes them easier to digest, so I always make sure to buy blanched almond flour. 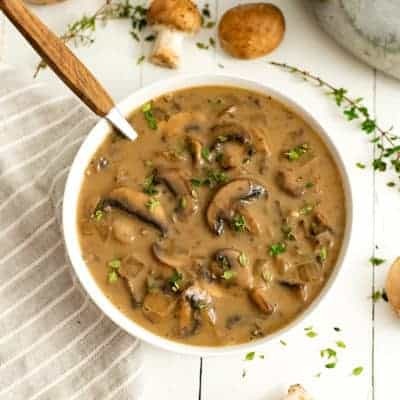 If you cannot use almond flour because of a almond allergy you can use cashew flour (affiliate) or even sunflower seed flour (affiliate) in place of the almond flour in this recipe. Like I mentioned above, Dave doesn’t digest eggs very well and most gluten free products on the market have eggs in the ingredient list. However, after much trial and error I discovered that baking with just flax eggs or just chia eggs creates a dense, kind of soggy muffin. Definitely not the light and airy muffin I was looking to create. Luckily I came across this gluten free egg replacer from Bob’s Red Mill (affiliate). It’s a mixture of potato starch, tapioca flour, baking soda and psyllium husk and it’s the best thing I’ve found to create the same consistency I’m used to when baking with eggs without weighing down the final product. This recipe uses equal parts of the egg replacer and ground flax meal to replace the eggs. I pick up the egg replacer and Tigernut flour on Thrive Market! 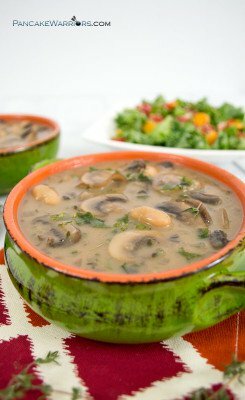 Thrive Market has the best prices and delivers in 2-3 days of ordering! You can get 25% off your first order when you sign up at Thrive Market (affiliate)! 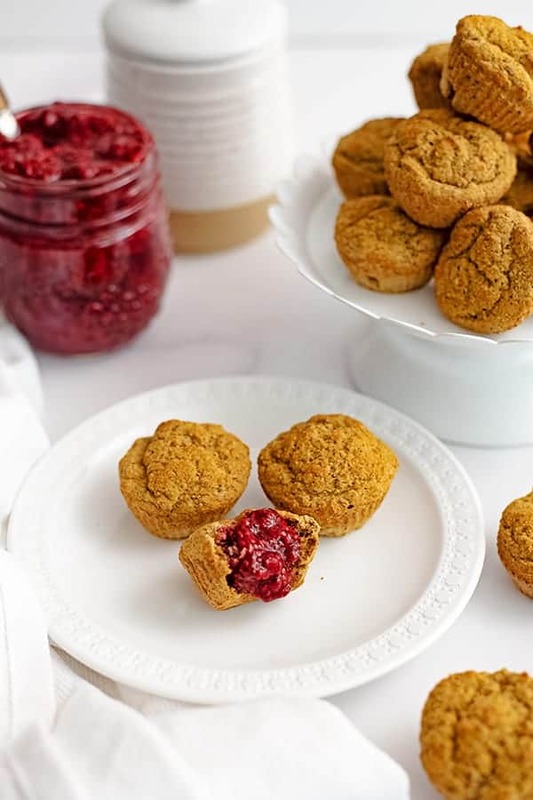 If you don’t have the egg replacer and you really want to make these gluten free almond flour muffins today, you can make your own egg replacer with 1 tbsp arrowroot flour + 1 tsp. psyllium husk + 1/4 tsp. baking powder. for every 1 tbsp. of the egg replacer. The results are similar but not exact. Almond flour and ground flax both contain oils that will eventually go rancid at room temperature. I like to store my ground flax and almond flour in the freezer to ensure they taste fresh every time I bake with them. Almond flour will last about 1 year in a dark cool space in the pantry and even longer in the fridge or freezer. While it’s best to freshly grind your flax seeds, I often buy them already ground for convenience and store them in the freezer to keep them from oxidizing even further. 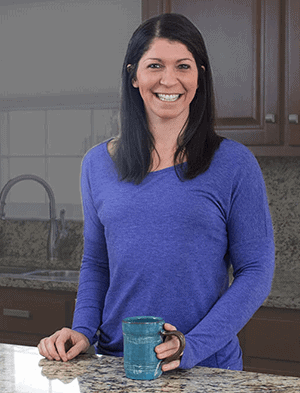 Storing almond flour in the freezer can make it clump up more than when it’s on the shelf of your pantry. Don’t worry, it’s easy enough to stir out these clumps when you are mixing the batter for your recipe! Just be sure to take an extra minute and stir well! Place 24 mini muffin silicone liners or parchment paper liners in a mini muffin tin. In a large bowl add the water and use a fork to stir in the egg replacer and ground flax meal. Stir well and get out any lumps. Add the baking powder, salt and applesauce and stir well. Remove from oven and enjoy warm or cold.